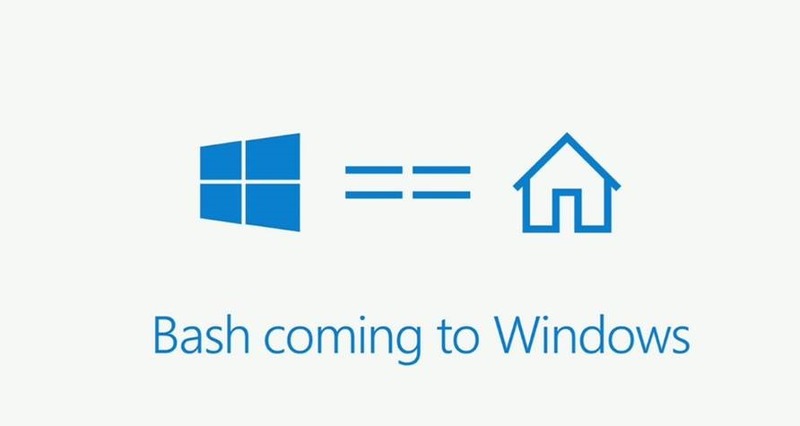 If you watched the BUILD 2016 keynote, you know that we announced something called “Bash on Windows”. And if you were listening, you probably heard a lot of intense cheering and clapping when this was discussed. This is a Bash shell running over an Ubuntu Subsystem running within Windows. For you old school folks, this is kiiiiinda like the old Services for UNIX product where we loaded a POSIX 2-compliant subsystem into Windows to provide the ability to use UNIX shell commands. The difference is that you needed to cross compile any other tools you wanted. This Bash shell doesn’t require this. This is an environment which will provide Ubuntu users with traditional Bash commands & the ability to use any other powerful open source command line tools for Ubuntu along with the ability to run native Ubuntu binaries within the shell. For an English language interpretation of this, read Dustin Kirkland’s synopsis. He’s one of the guys from Canonical that helped make this possible and goes into more detail than what you’ll see in the media… well… cuz he’s the guy that wrote it.